The Ford Tri-Motor, or “Tin Goose,” was the first commercial airliner in the U.S., taking its first transcontinental flight in 1929. 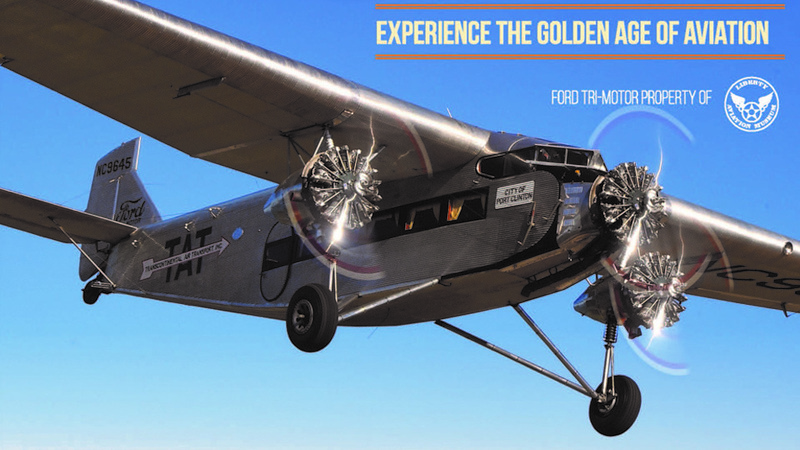 “Fly the Ford Tour,” sponsored by the Experimental Aircraft Association High Desert Flyers Chapter 1345, is a chance to relive history and take a ride in this rare antique plane, while celebrating commercial and civil aviation. Visit the website for each action-packed day’s activities, including airplane and antique car displays, VIP speakers and guests, aviation exhibits, BBQ lunch, Sunday pancake breakfast, Young Eagle’s flights, and on Mother’s Day, free flowers to the first 50 moms that take a ride on the Ford Tri-Motor antique airplane!